Sydney Shop Girl: Potted Lipgloss Proves Elusive. Remember back in the late nineties when lip gloss came in chubby pots? They were an antidote to the chalky matte and colourfast lipsticks that we were all wearing as we watched 90210 and early SATC in our flannel shirts or slip dresses. They were so versatile. You could wear them alone or brushed over the top of lipstick or lip pencil or you could even artfully apply it over your eyelids to give them a gloss to match your lips. One of my biggest fashion regrets of the nineties (and there were many) is not stocking up on more pots of gloss. But then again, how was I to know that twenty (!!) years later, those little pots would become the dinosaurs of the lip gloss world? A trip to Chemist Warehouse on Saturday saw me search the makeup aisle from top to bottom and left to right in search of a pot of gloss from any brand in any shade. But it was all in vain because tubes and wands are now your only options. I bought an $11 tube of Rimmel's Oh My Gloss! in clear as well as a $4.99 bargain Kiss Me lip plumping version from UK brand W7 which has a bit of a cult following for being able to produce some amazing products at a great price. I'm purposely staying on a strict budget when it comes to lip products at the moment. I'm forever losing or forgetting tubes of lip product so it makes sense for me to only buy things I can afford to lose or buy in duplicate. There's also less buyer's remorse if I happen to lose interest in something after a few weeks. I was expecting Rimmel's offering to perform well because I've had great success with their lip products previously. Oh My Gloss! 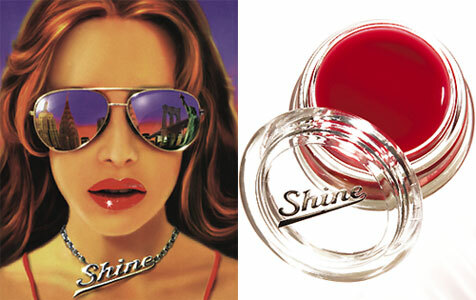 didn't disappoint with its high shine finish that felt light on the lips and not too tacky (in texture or appearance). I dotted the gloss on my wrist and applied it with my lip brush. Not quite the same as just whacking a brush with abandon into a pot of gloss but just as effective. Kiss Me was a surprise performer. It has a little tint to it (only comes in one shade) and applied as glossily as the Rimmel only with a thinner consistency. Have you tried anything from the W7 range? Do you miss the good old days when lip gloss came in pots? There was actual sun on Saturday morning. And I felt its warmth on my arms as I sat outside with Toddler SSG for our customary Saturday breakfast out. It was a big couple of days of colouring in for me (not Toddler SSG, he's moved on to opening the fridge on his own and trying to ease what he wants off the shelves and hoping that their subsequent crashing onto the kitchen floorboards gets them open and ready to eat). I had a whole series of Parisian streetscapes to colour and with only three shades of grey in my collection, I obviously had to hit up Eckersley's for another seven. The scenes are looking suitably atmospheric in their tonal layers of grey, so it was well worth the effort. And it was new pyjamas from Target day for Toddler SSG. I tried really, really hard to persuade Toddler SSG to choose these Darth Vader jammies with their heartfelt message but he wasn't having anything to do with anything unless Thomas and Percy were involved. I'm trying to inject a little healthy variety into my weekend lunches at the moment. What better way to start than with sandwiches and salad from About Life's ready to go counter? I'm working my way up to trying their zucchini pasta and raw lasagna. Might save those for the inevitable post Christmas 'detox' I'll be on early next year. OMG Poppy Shine lip gloss!! I miss it so much.